Follicular Unit Excision is a treatment that helps you to solve your hair loss. 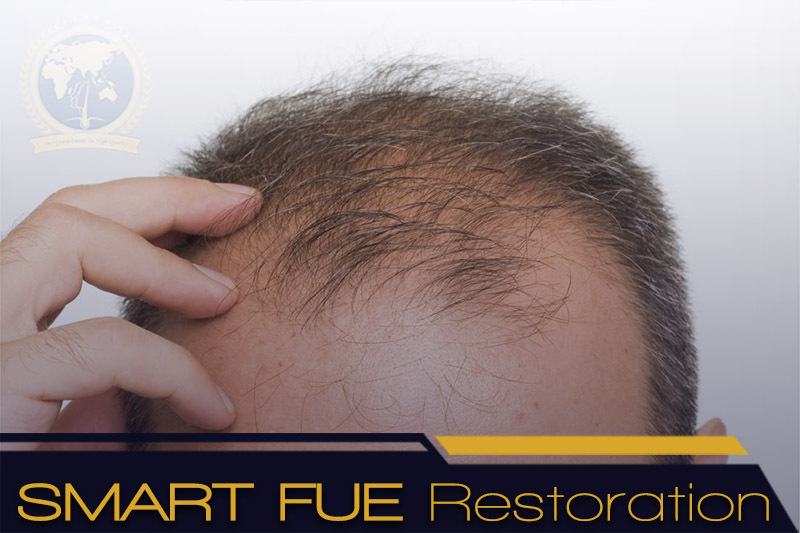 SMART FUE (Follicular Unit Extraction ) is a treatment that helps you to solve your hair loss. SMART FUE is a minimal invasive procedure that moves individual hair follicles from the scalp from back of the head called the ‘donor site’ and to fill the balding area of the hair known as the ‘recipient site’. It is a modern technique of hair transplantation and a minor surgical method, there is no stitches needed. Although the process can take several times, most individuals can complete this Follicular Unit Extraction (FUE) in a single session. It is suitable for male and female. Male pattern hair loss is believed to be due to a combination of genetics and the male hormone dihydrotestosterone, other causes for hair loss range from thyroid issues, anaemia, hypertension, diabetes, protein deficiency, chemotherapy, poor nutrition and many more contributory factors. The advantages of FUE Hair Restoration? – No pain during or after the treatment, local anaesthesia will be used. This treatment will commence from a prior consultation with our medical doctor who holds much expertise in this field of hair restoration. He will design your desired hair growth and will then managed the number of grafts needed. The donor area will be prepared based on the number of grafts needed. Our doctors will be assisted by the most qualified team of medical staff. Recovery process will take around 7 to 10 days. In about two weeks, most traces or scabs of the grafts will be completely gone. 3 to 4 months onwards, you should notice significant regrowth, at which point your native and transplanted hair will continue to grow naturally.